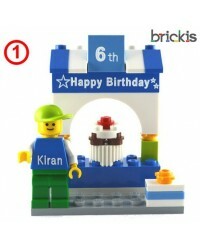 A super fun LEGO cake topper set, for the (birthday) cake, different models available. 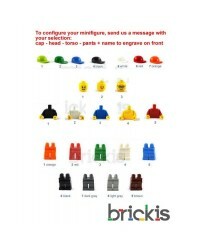 Included RACE CAR + a personalized LEGO minifigure (boy or girl) with name engraved and text Happy Birthday! 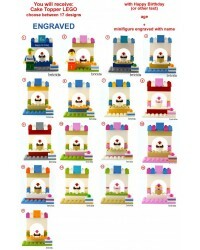 and age (or other text) Can serve to decorate the cake, as table decoration. Looking for an original gift. 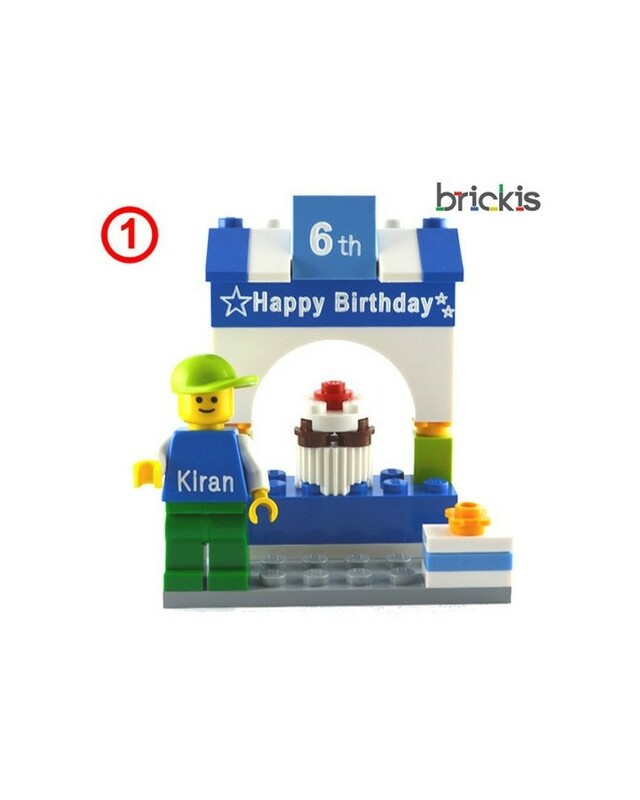 We have these custom personalised LEGO ® cake toppers for you. Several possibilities.